STAYING COZY: the puffer season seems to be getting bigger and bigger in fashion! From NYFW to LFW to Milan, there’s been been a parade of puffy and fuzzy pieces on the runway and the street. here’s a glimpse of what we saw on the runway in New York Milan, behind the scenes, front row and on the street! more to come. the marvelous genius of MONCLER’s exaggeration of the puffy 🦋 #MONCLERPIERPAOLOPICCIOLI #MONCLERGENIUS @pppiccioli @liyakebede @lemlemofficial . . #Repost @moncler with @get_repost ・・・ 1 – MONCLER PIERPAOLO PICCIOLI. Couture that connects cultures. _ #MONCLERGENIUS #oversizedpuffycoat #puffyjacket #moncler #pierpaolopiccioli . Swipe for vibes 💫💫💫 #fashiondailymag #brigitteseguracurator . .
a few of the puffers from fall 2019 collections: VFILES YELLOW LABEL by PAUL CUPO is oversized, cropped and colorful puffers, while PONY X HARBIN styled puffers in solids and color blocks, with ‘fuzzy’ lambswool looks. NPC new project center layered forward cuts in both puffers and fuzzy looks. RICARDO SECO, who already was making oversized unisex puffers in solids and in his cheery pop prints (check out my puffer bee + electric blue oversized puffer jackets worn during fashion week). This season, Seco added animal patterns + color block neon pops of color. Young designer ALESSANDRO TRINCONE flaunted a no-gender gown and hoodie combo on the runway, and all out in pink fuzzy ensemble. SPORTMAX added a minty ‘puffy’ to everyday silhouettes, while MAXMARA added a few BOLD hued fuzzy items to the chic parade . ROMEO HUNTE gave us a taste of glam in making satin puffer poncho silhouettes with fuzzy pompoms. 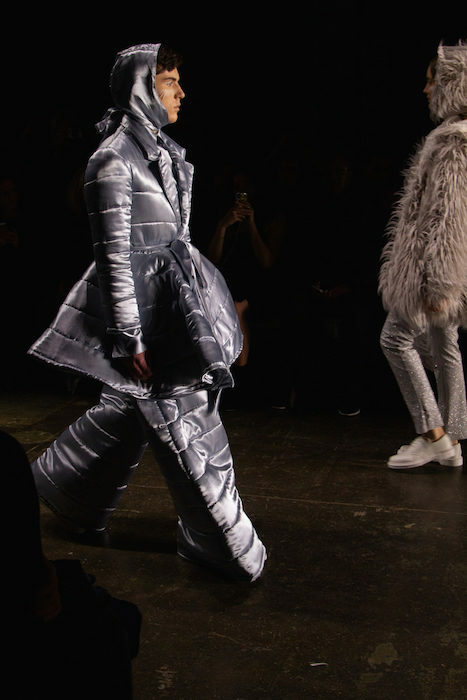 … and finally, MONCLER went to town in every puffy variation (as they should!) and making stunning presentations including PierPaolo Piccioli’s couture variation, as well as rolling out the MONCLER GENIUS collections during the Milan shows. check out more updates on IG posts + stories @brigitte_segura + @fashiondailymag. that PUFFER FASHION MOMENT fall 2019 trends. Fashion Director: Brigitte Segura . #brigitteseguracurator. Electric blue cozy #frow 💙 in #ricardoseco’s #oversizedpuffer @flyingsolonyc . . . . 📸 #bengabbe @gettyimages . . . #fdmlovesnyfw #brigitteseguracurator #fall2019 #nyfw #fashionweek #fashionshow #menswear #editorpicks #fall2019NYFW #fall2019fashion #wintertrends #StyleInspo #fashiondailymag #FashionBlogger #brigitteseguracurator #editorlife #fashioncurator #fashioninfluencer #designtrends #fashioneditor #socialcuratorsnyc #luxurylifestyle #StyleInspo #instadiarycl . . Wearing @secoricardo #ricardoseco #flyingsolonyc #metallicpuffer @clubkixies thigh highs x #adidasxbeavisbutthead @adidasskateboarding x @cestmoi.nyc #brigittesegurahair @privebylaurentd @lilovesyou using @philipb @thompsonchemists and @josiemarancosmetics . 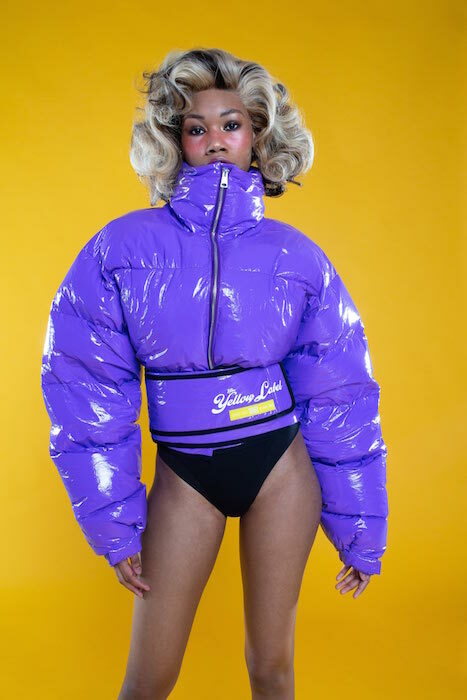 that PUFFER FASHION MOMENT fall 2019 trends by #brigitteseguracurator. Fashion Director: Brigitte Segura .